available to millions of users worldwide! Virtually all animations – even the most complex ones – are accurately preserved in HTML5. HyperPoint maintains virtually all slide transitions, including 3D effects, with precise accuracy. Interactive PowerPoint triggers are fully supported after PowerPoint to HTML5 conversion. Presentation's fonts and effects keep their original appearance in the HTML5 format. Embedded video is accurately preserved and configured for playback on a larger range of devices. 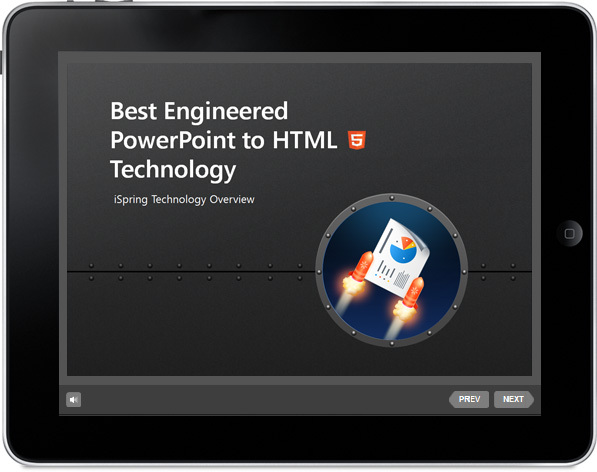 Audio files embedded into PowerPoint are fairly supported after conversion to HTML5.